"So what are you making for dinner? ": Slow Cooker Chicken Cacciatore and Mom Goes Nationwide! Slow Cooker Chicken Cacciatore and Mom Goes Nationwide! 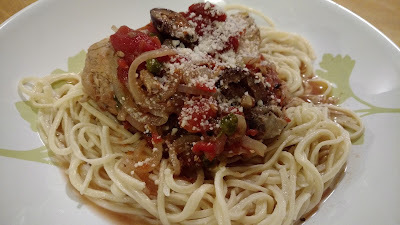 Tonight we had Chicken Cacciatore made in the crock pot. Not bad. I like the flavors of the La Cucina recipe better but this dinner was well received. Chris and Archie were very pleased. In a bowl, stir tomatoes, salt, pepper and white wine together. Pour over chicken. Cover and cook on Low for 5-6 hours or on High for 3-4 hours, or until the chicken is tender. Stir in capers, olives and herbs just before serving. 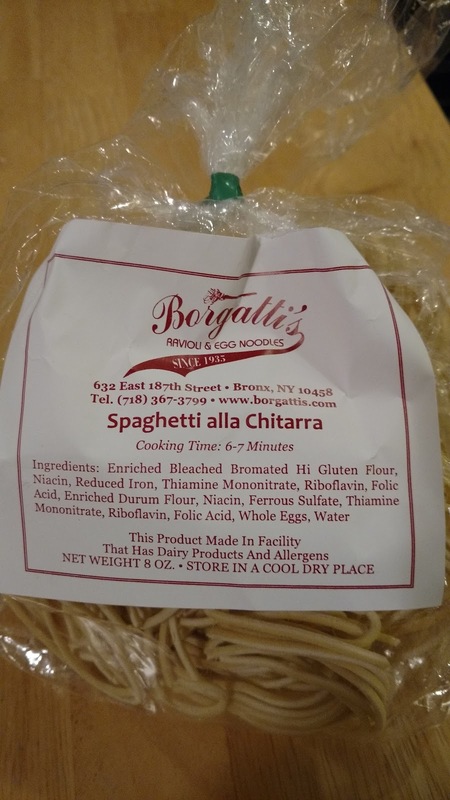 I used Borgatti's Spaghetti all Chitarra. I liked the pasta better than the chicken! 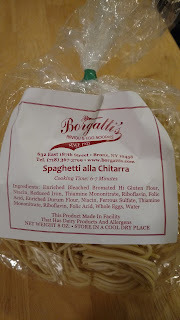 And My Mom's Meat Sauce Goes National! One of my nephew's had to take a course for work and for one of the classes they had to bring something from their homes that had a family tradition tied to it. My nephew brought a picture that I had framed for his wife's bridal shower gift. 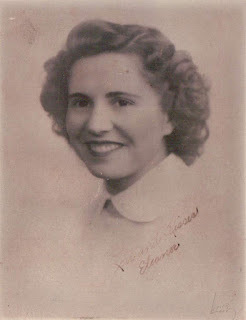 It was a photo of my Mom along with her recipe for Meat Sauce. After he gave his presentation people in the class asked to see the picture and it was passed around. Then they asked if they could copy the recipe or take a photo of it!!! There were people from all over the country taking the class. And now they all have my Mom's Meat Sauce recipe! I can't stop smiling about this. She would be so happy. Rock on Mom!